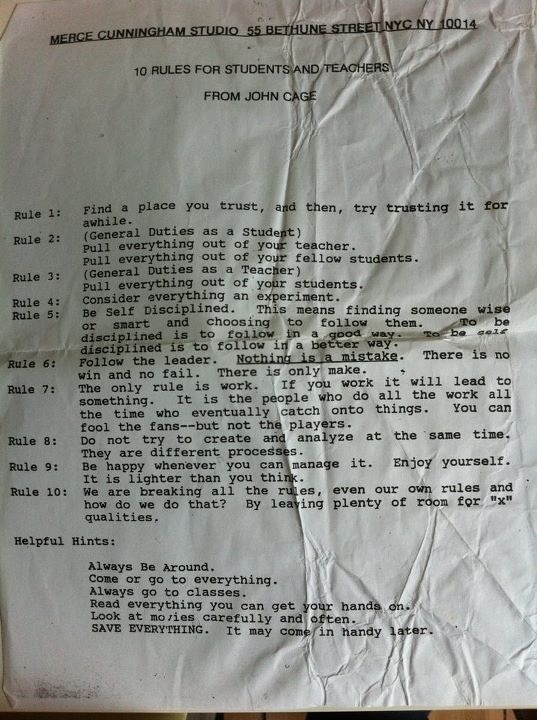 Martha Burtis tweeted this bag of gold a day or two ago from the great John Cage. I am posting it here for posterity, it very much describes the way in which we have tried to approach ds106, and I think I will be writing this into any and all future syllabi I create from here on out. 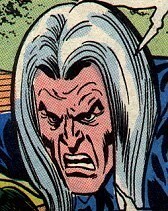 This entry was posted in Uncategorized and tagged ds106, John Cage. Bookmark the permalink. I am so glad you found this. I brought this to class once and we had a great conversation about the idea of it being one’s job (and not a choice) to make sure others are learning in a class… and not just the teacher’s job, mind you. That list (a favorite of mine) is connected to John Cage, but it’s not his as it is widely circulated to be. It’s the work of Sister Corita Kent. There’s an explanation here. Pingback: Rules for Teachers and Students | Michael R. Berta, Ed.D.